As technology becomes ever more impressive, Virtual Reality applications are going to be increasingly used in the future to generate additional revenue streams for businesses. Properties and business lettings are already being shown in VR using 360 video technology. There now exists a platform wherein groups of people can share the same virtual space and communicate with each other at the same time using VR. While nothing beats an on-site visit to a property or business, this VR technology will allow potential buyers of properties and businesses to view them from a distance either prior to an initial viewing or following the first viewing to check details. The possibility of bringing multiple people along allows the experience to be shared with family, friends or business associates, without wasting time travelling to and from a viewing. No longer constrained by their distance to a business, the immersive nature of VR will ensure that clients will view businesses and properties originally thought too far away to consider, and it will give them the chance to see every angle whilst remaining comfortable. Aside from travelling, another issue eliminated is whether a building is free to be viewed at a time suitable for all parties, as with VR Business Partnership can show any location at any time of day, which is especially useful if several people are wanting to view a property at the same time. Estate agents, letting agents and business transfer agents will be able to offer their clients the service thus creating additional revenues; at the same time, they are offering clients and potential buyers an alternative and arguably increased viewing experience to the current distance-viewing options such as brochures or videos. This is a marvellous addition to any property portfolio. 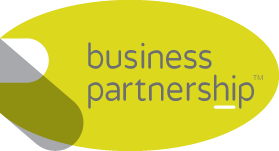 Business Partnership began in Leeds in 1979, and through the use of this technology, it can continue its modern-day growth by delivering exactly what potential buyers are looking for. Business Partnership is working with Eventual Space to provide a brand new angle for our clients to view prospective businesses around the country.